Description: This temple is located in the vicinity of the Annamalai University at Chidambaram and is very similar to the one at Sivapuri nearby. Tiruvetkalam is the 2nd in the series of Tevara Stalangal on the northern banks of the river Kaveri in the Chola region of Tamilnadu. Also near this temple is the Shivastalam Tirukkazhippalai. It is associated with legends from the Mahabharatam. Legends: Shiva is said to have appeared in the form of a hunter and then blessed Arjuna with the Pasupatastram & this event is enacted during the festival in the month of Vaikasi. The bows Gandipam and Pinakam are said to have been formed here. There are festival images of Arjuna, and Shiva with the Pasupatastram. Many villages around this shrine are associated with the legend of Arjuna's encounter with Shiva. Usuppoor is where Arjuna is said to have chased a wild boar which disturbed his meditation; Nakkar Ugandakudi is another (Nakkattankudi). Eesanporveli is where Arjuna is believed to have fought with Shiva, and Villeruttaan Kuttai is where Arjuna's bow is said to have been broken by Shiva. Sambandar, considering the entire town of Chidambaram to be the holy temple, resided in Tiruvetkalam, and visited the Chidambaram temple from here. 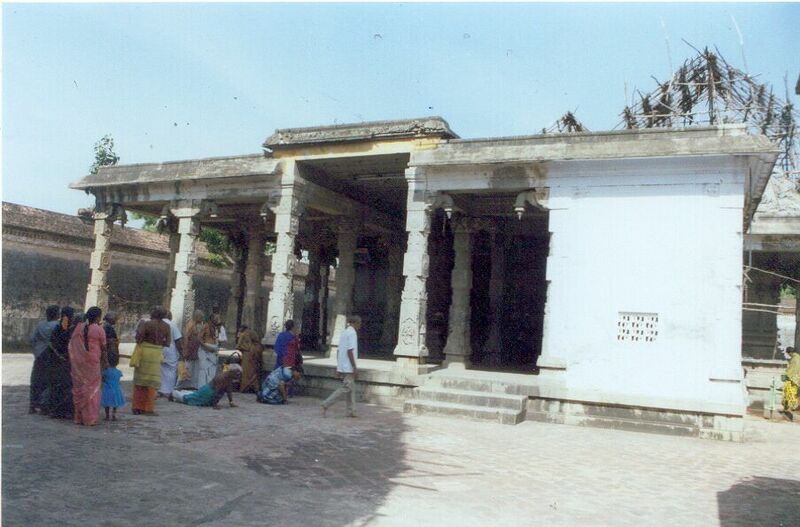 It is said that Appar visited this shrine after visiting Chidambaram; he is than said to have visited Tirukkazhippaalai and then returned to Chidambaram. The Temple: Inscriptions from the Nayaka period (16th century) are seen in this temple. This east facing temple has a Naagalinga tree and a temple tank in front. There are shrines to Siddhi Vinayakar and Somaskanda in the outer circumambulatory passage. There are also shrrines to Sundareswarar, Murugan and Mahalakshmi. In addition to the festival images described above there are also images of Nataraja, Sivakami and the four Saivite Saints. In the mandapam in front of the shrine, there are sculptural depictions of Shiva and Parvati in the guise of a hunter and a huntress accompanied by hounds, the battle between Shiva and Arjuna etc. The annual festival in this temple is celebrated in the Tamil month of Vaikashi on the Vishaka asterism where the stalapuranam of the temple is enacted. Festivities are also held during Sivaratri and during the Navaratri season. Mondays in the month of Kartikai are considered sacred.